The Spectator’s Steve Buist analyzed 18 years of air quality data to find pollution in the core has greatly improved. There's something in the air these days and that something is, well, nothing. OK, not nothing exactly, but a look at Hamilton's air quality data from the past 18 years shows there's a lot less air pollution floating around the city than there used to be. A Spectator analysis of air quality readings taken in Hamilton from 2000 through 2017 shows that fine particulate matter, nitrogen oxides and sulphur dioxide concentrations have been cut roughly in half over the last 18 years. "The sky looks bluer," said Lynda Lukasik, executive director of Environment Hamilton. "We've had summers for quite a few years now that have been completely smog free — I could get used to that," Lukasik added with a laugh. In fact, it's been five years since the last smog alert was issued for Hamilton. "It's pretty incredible," said Bruce Newbold, a McMaster University professor and chair of Clean Air Hamilton. "It just goes to show the improvements in air quality we've made here in the city and more broadly in the province," he said. Figures from the Ministry of the Environment, Conservation and Parks show massive reductions in other air pollutants measured at the downtown monitoring station. Since the mid 1990s, total suspended particulates have been reduced by about 60 per cent, benzene concentrations are down by 87 per cent, and benzo-a-pyrene levels have dropped by more than 70 per cent. One big reason for the improvement in air quality has been the closure of Ontario's coal-fired generating stations. Nanticoke's station, which had been the largest of Ontario's coal-fired plants, has been out of operation since 2012. Newbold also pointed to increasingly strict air pollution controls or standards on vehicle emissions, more stringent government regulations for industry, as well technological improvements or innovations in Hamilton's industries. Despite the overall good news, Lukasik said she would still add a caveat to the results. "It depends on where you live," she said. The downtown air monitoring station is in Beasley Park, near Ferguson Avenue North and Cannon Street East, but that's still some distance from the industrial areas further east. 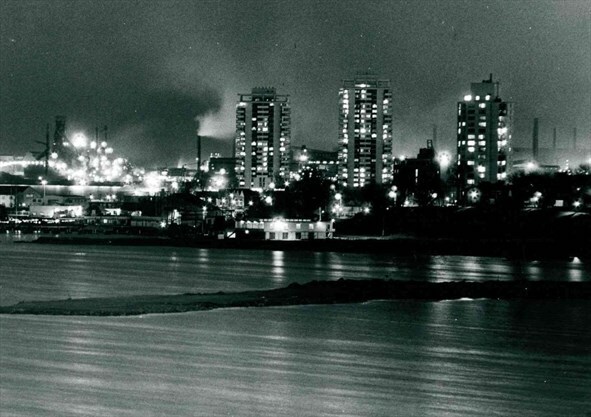 "If you're in a neighbourhood close to the industrial core, the picture is probably not as rosy," Lukasik said. There's still more to be done to improve Hamilton's air quality, Newbold added. "We still see health impacts so let's keep pushing the needle on this," said Newbold. Fine particulate matter — airborne particles with a diameter of 2.5 microns or less — are the products of fuel combustion, industrial processes and the smoke from wood-burning fireplaces, stoves or forest fires. During periods of high concentrations, more than half of the amount of fine particulate matter, known as PM2.5, originates in the U.S. and is blown into southern Ontario. The World Health Organization's cancer agency has classified fine particulate matter as a carcinogen, with links to increased rates of lung and breast cancer. Exposure to fine particulate matter can also lead to respiratory and cardiovascular problems, particularly for people who have a history of those diseases. Between 2000 and 2017, fine particulate matter levels have been cut in half during the summer months, from around 18 to 20 micrograms per cubic metre to about nine micrograms. But that's just barely under the World Health Organization's recommended maximum concentration of 10 micrograms per cubic metre. 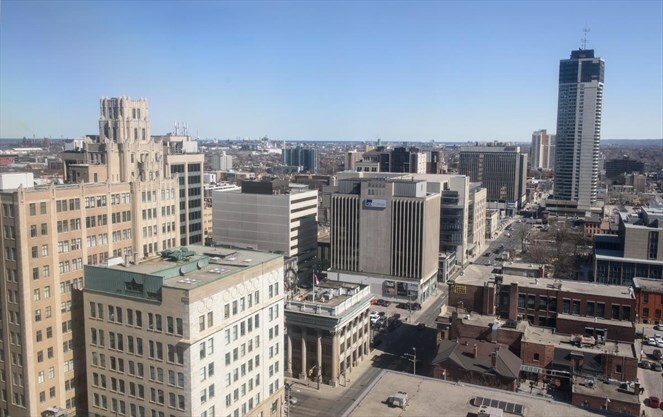 A 2014 Ontario air quality report noted that Hamilton's downtown monitoring station, along with two in Windsor, were the only three in the province that exceeded the WHO standard. "The more we understand about PM2.5, the more concerned we need to be," said Lukasik. The ministry says it is adding more sophisticated equipment to measure PM2.5 levels. "This will help to better understand the priority areas and focus on actions to further reduce fine particulate matter," said ministry spokesperson Jennifer Hall. Nitrogen dioxide is a pungent gas that breaks down to help spark chemical reactions that form ground-level ozone, a major component of smog. It is also a precursor to nitrates, which help form harmful particles that can be breathed in. About two-thirds of nitrogen oxides emissions come from transportation sources, and another 15 per cent come from various industrial processes. Nitrogen oxides irritate the lungs and can reduce the body's resistance to respiratory infections, particularly for people who suffer from asthma and bronchitis. In Hamilton's downtown, nitrogen oxide levels in the winter months of December, January and February have dropped from around 30 to 40 parts per billion in 2000 to between 15 to 20 ppb in 2017. In the summer months of June, July and August, nitrogen oxide levels dropped from between 20 to 27 ppb in 2000 to just under 10 ppb in 2017. Hall said the reduction in nitrogen oxides is primarily due to better emission controls on vehicles. Sulphur dioxide, a gas that smells like burnt matches, can be transformed through chemical reactions with water vapour into a mist of sulphuric acid. It is one of the main precursors to acid rain. About 90 per cent of sulphur dioxide emissions come from smelters, utilities and various industrial processes. As with nitrogen oxides, sulphur dioxide is linked to respiratory problems. It can lead to worsening of respiratory and cardiovascular illnesses, particularly those who already suffer from asthma or chronic heart and lung disease. Sulphur dioxide levels during the winter months have shown wild fluctuations over the past 18 years but overall, the trend indicates sulphur dioxide levels have been cut in half, from around four to six parts per billion to between two to three ppb. Sulphur dioxide levels during the summer months have remained relatively steady between 2000 and 2017 at around six to eight parts per billion. Ground-level ozone — three oxygen atoms joined together, instead of the normal two — is the major component in smog. It results from chemical reactions that are sparked by sunlight, which is why levels tend to be highest during the afternoons in the summer. About a third of the components that create ozone come from transportation and about a quarter come from the general use of aerosol and cleaning solvents. During periods of high ozone levels, it's estimated that more than half of the ozone in southern Ontario originates from U.S. sources. Ground-level ozone is a respiratory tract irritant and high levels can cause coughing, wheezing and irritated eyes. This was the only one of the four major pollutants that didn't show improvement between 2000 and 2017. 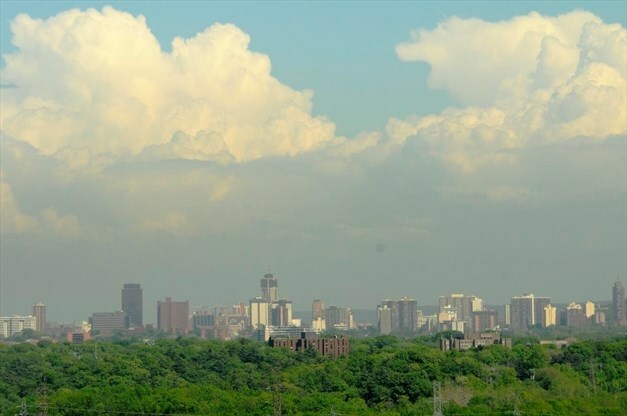 Ground-level ozone levels for the summer months in Hamilton's downtown have remained steady at around 40 parts per billion from 2000 through 2017. During the winter months, ozone levels have increased about 50 per cent over the same period. The Spectator's analysis also shows that ozone levels are consistently higher on the Mountain than downtown during both summer and winter.